With the hullabaloo over knighthoods and dameships, I was caused to think of another anachronism hanging about in our parliaments. This is the practice of awarding the title of “The Honourable” to MPs. This award is made to ministers and speakers and is awarded for life. Once upon a time a Prime Minister (and the Deputy PM for that matter) was awarded a seat on the British Privy Council and it carried an honorific of The Right Honourable Joseph Blow PC. Gough Whitlam refused the appointment to the Privy Council and thus accepted the honorific the Honourable EG Whitlam, QC, MP. All succeeding PMs have followed suit and I guess the invitation doesn’t come anymore. All state parliaments and the federal parliament have ministers who are commissioned by the vice regal representative. The governor-general does this in the case of the feds and the state guvnor in the case of the States. In the NT, the ministers are commissioned by the administrator (a junior vice regal appointment). This means that the title The Honourable is a gift of the crown. Another throwback to our dependence on the British need for pomp and circumstance! In the ACT, however, it is different. Whilst the Legislative Assembly elects (as do the members of the NT Legislative Assembly) a chief minister, our chief minister appoints the ministry. In Labor’s case the ministers are elected by the caucus and officially appointed by the chief minister. In the case of the Libs, the chief minister chooses his ministers and appoints them. 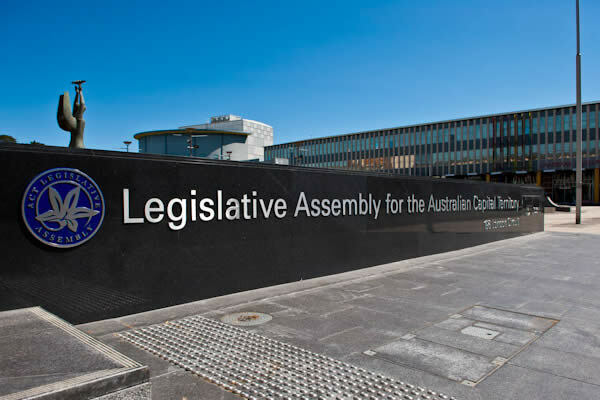 One argument is that since the ACT’s Self Government Act derives its legitimacy from the federal parliament and was signed into existence by the governor-general, the process of becoming a minister is irrelevant. Others argue that as the ACT’s ministers are not ‘commissioned’ by a vice regal entity, they are not entitled to that honorific gift. So, in thinking about the knighthoods etc, I did a straw poll at the gym this morning on whether the system should stay or go. It was an extension of the knighthood conversation. Why don’t backbenchers get it, as they are usually those who are the real representatives of the people? I had hoped that with the creation of our own awards system, we would be able to be our own unique entity and another string to Mother England’s apron strings would be cut. It is logical for me that our parliament should follow suit. The other thing for me is that pollies are there to serve the people. The people are the boss and they are at the top of the tree. The power triangle should be inverted. Accepting titles and gongs is just silly and sends the wrong message. It puts pollies at the top of the tree instead of on the ground. Head of State – who needs one?